Hartalika Teej vrat is one of the three Teej festivals celebrated in North India. The other two are Hariyali Teej and Kajari Teej. This vrat is observed for three days. 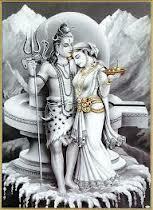 Women and young girls maintain nirjala vrata on these three days, and keep awake all three nights. Hartalika Teej 2024 date is September 6. It is celebrated on Shukla Paksha Trutiya in Bhadrapad Month. It is observed mainly in North Indian states like Bihar, Jharkhand, Uttar Pradesh, Rajasthan, and Madhya Pradesh. Also See, Hartalika Teej Vrat Katha and How to perform Hartalika Teej Vrat .